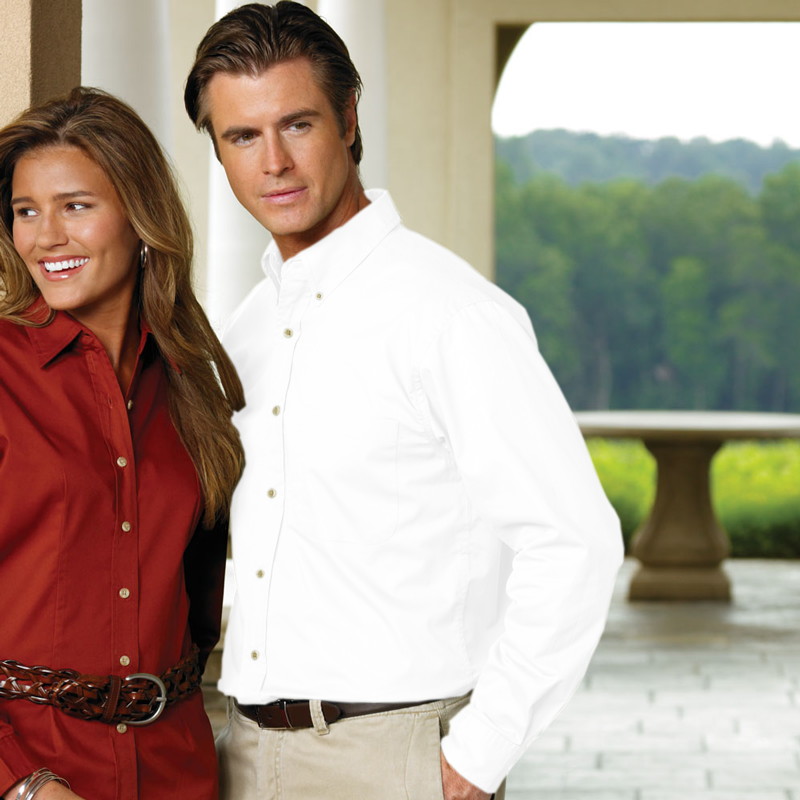 - Jonathan Corey Men's 5.0 Ounce Long Sleeve Brushed Twill 60% Cotton/ 40% Polyester Shirt. 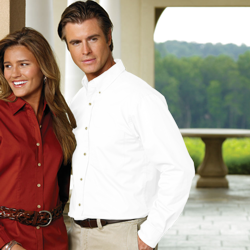 Jonathan Corey Men's 5.0 Ounce Long Sleeve Brushed Twill 60% Cotton/ 40% Polyester Shirt. 60/40% Poly/Cotton 5 ounce twill fabric. Mens has left chest pocket. Ladies has open collar, front-and-back darts. Both have back yoke, shirt tail hems, wood tone buttons, and two button adjustable cuffs. Sizes: XS-6XL. Colors: Black, Burgundy, French Blue, Khaki, Navy, Red, Royal, Steel grey, Silver. White, Hunter: Discontinued. Limited Quantities. Style Ships From Pageland, SC.